Biafra: Mazi Nnamdi Kanu, the only person with absolute command over entire Biafra restoration effort, remains the rock upon which the entire edifice of IPOB is built. 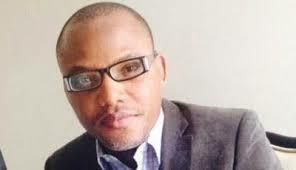 We the family members of the Indigenous People of Biafra (IPOB) and its leadership worldwide under the supreme command of Mazi Nnamdi Kanu the prophet of our time, wish to clarify that the DSS/Ministry of Information engineered speculation regarding the position of our leader is a cheap diversionary tactics designed to test our dedication and resolve in the run up to the much anticipated boycott of Anambra elections on Saturday November 18th, 2017. Not minding the involvement of two key ministries of government in the propagation of this falsehood, we remain fiercely resolute and undeterred by the crude antics of a drowning government. They have lost every sense of shame. The only option left open for them is to periodically opt for hyper-dramatics in an environment devoid of any form of investigative journalism.